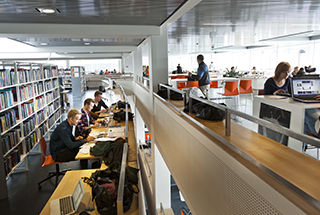 Aarhus University offers a wide range of activities within the field of continuing and further education. This includes short courses and longer study programmes. Most programmes are in Danish, but we do offer some programmes in English. 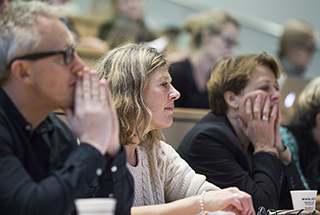 We recommend that you contact the administration at one of the four faculties (Arts, Health, Aarhus BSS, Science & Technology) in order to get information on existing possibilities. 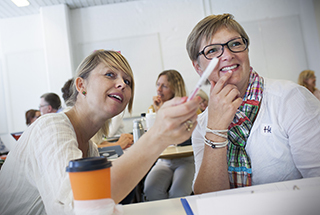 Would you like to follow courses with ordinary full-time students at Aarhus University? 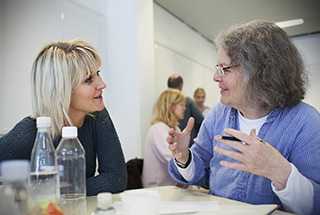 Courses during daytime (tomplads) at Aarhus University are vacant positions at courses offered to our ordinary full-time students during a term. 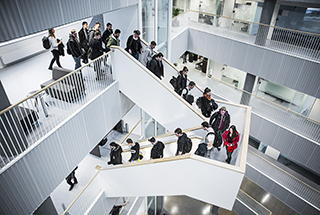 With courses during daytime (tomplads) you can follow single courses or parts of degree programmes, for example a semester from a bachelor's degree programme. Find information about courses, teachers, ECTS-value and more in the Course Catalogue>. Normally, applicants cannot expect to be accepted without a good working knowledge of the Danish language. Furthermore, there may be specific course requirements, (e.g. language qualifications, a certain level of mathematics etc.). For specific course requirements applicants are advised to contact the student counsellor of the relevant department. Students following courses during daytime (tomplads) attend courses and take the examinations on equal terms with full-time students. Once you have chosen the courses you wish to attend, please contact the administrative department for continuing and further education at the faculty offering your course for further information about application. Please find contact information in the blue boxes above. For information about full degree bachelor's or master's programmes visit the Study guide. Find courses held in English or in other languages by searching the Course Catalogue.